Dan Geller is a behavioral financial scientist. Photo from Money Anxiety Web site. AS soon as the economy improves and starts to expand, consumers return to their favorite "sport" – bigger and better homes. The Castle Craze is a strain of financial behavior that describes our fascination with status symbols associated with success. It is one of six financial habits consumers repeat each time the economy goes through a cycle, says behavioral finance scientist Dan Geller. The craze goes beyond the practical consideration of having a place to live and making smart investments, it also as a statement of status and achievement. In good economic times, consumers will over extend their finances just to win in the bigger, better and nicer national competition, DG says. The second financial habit is the Durable Diet. It comes into play when the economy is in a recession and there is a desire to save money by prolonging the life of the most expensive possessions – automobiles and appliances. During the Durable Diet spending phase, consumers tend to maintain the lifespan of their more expensive possessions such as automobiles. 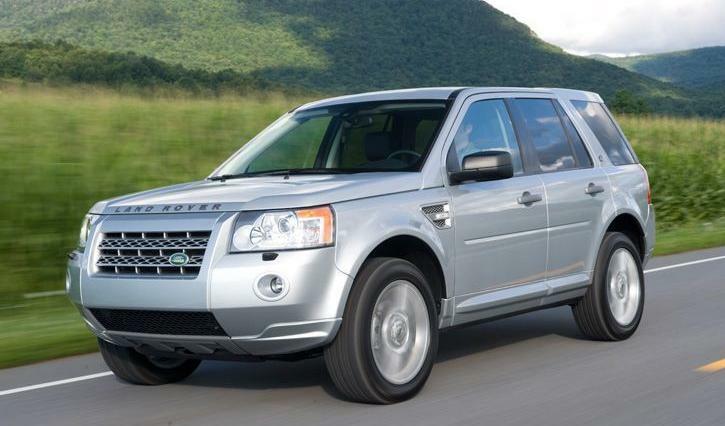 Pictured is the Land Rover LR2 SUV. 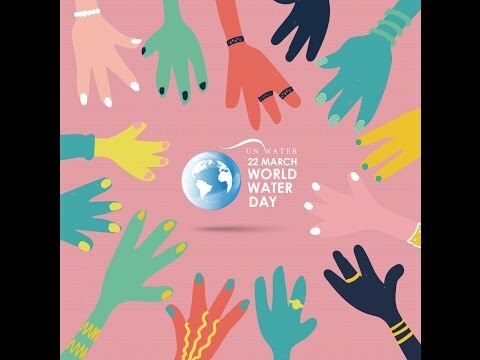 Photo from Land Rover Web site. Typically, consumers will hold off on replacing such durable items until the economy improves, or until the item breaks down and must be replaced. The reason car sales have increased dramatically in the last couple of years, DG says, is exactly because during the recession many postponed replacing their cars as they would normally do. DG discovered these patterns of consumer financial behavior – or Behavioralogy – during high, normal and low levels of money anxiety after some study. The results of his recent findings are published in the book, “Money Anxiety.” The study found that consumers repeated these six behaviors in each of the economic cycles during the last 50 years. Tiny Treats is the third of the financial habits. Like Cattle Craze and Durable Diet, it is related to spending. Consumers, DG found, turn to Tiny Treats when they can't afford the expensive items they really want. When the economy is transitioning, many are unsure if they should buy a new big-screen TV or put the money aside in case things don't get better economically. Tiny Treats make up for the big things they are not buying. "Money Anxiety" explores consumer spending over the last 50 years. According to DG, during the last recession the only category that exhibited a high growth in sales was personal care products and services. These are items such as beauty and body treatments that are relatively inexpensive but make people feel good. One of the three behaviors related to savings and the fourth of the financial habits is Power Play. When the economy is in transition, consumers are not sure what to do with their money – spend it or save it for a rainy day. Consequently, there is a power play between the urge to spend and the instinct to save. Once the economy improves and expands, spending wins. When the economy transitions to a recession, savings wins. Each financial behavior pattern corresponds to a stage in the economic cycle e.g., recession, recovery, expansion and decline. For instance, Power Play occurs during both recovery and decline. Rate Race, however – the second of the savings behaviors – begins as soon as the economy starts expanding and consumers start to chase after the highest interest rate, or return on their money, they can find. Six consumer financial habits have recurred during economic cycles of the last half century. In this fifth financial habit, since financial confidence increases during economic expansion, consumers are willing to take greater financial risks. Thus, diverting more of their money from bank savings to the equity market where rates of return are much higher in return for higher risk. Our most basic behavioral orientation in response to economic downturn and looming recession, DG asserts, is Mattress Money. It is the third of the savings behaviors and the sixth financial habit. It stems from our instinct for self-preservation. When people feel financial danger, owing to an economic downturn, they start hoarding money by shifting their bank deposits to liquid accounts that can be immediately withdrawn. Today, says DG, $8 of every $10 in bank savings is in Mattress Money compared with only $6 before the last recession. "If you want to know what people will do with their money when the economy improves, just look back at what they have always done – Rate Race and Castle Craze," DG says. Burt's Bees Hand Salve is in the personal care products category, the only sector of the economy that experienced growth in the last recession, according to financial behavioral scientist Dan Geller. 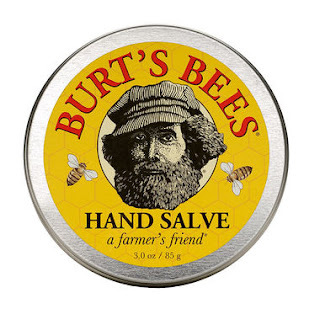 Photo from Burt's Bees Web site. "Similarly, when the economy will slow down in the future, people will go back to Mattress Money and Durable Diet." 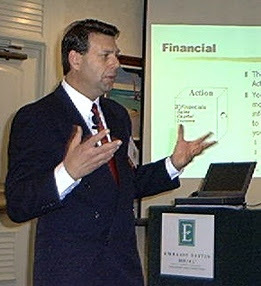 Visit http://www.moneyanxiety.com to learn more about “Money Anxiety” Behavioral Finance Scientist Dan Geller. Tamika Cody is an NYC-based multimedia journalist with a niche in finance. She currently writes about topics trending in arts and culture at http://www.ArtsOfCultures.com; visit http://www.tamikacody.com to learn more about her ventures.